The forecast for my trip was unambiguous – warm autumn days and cool (not cold) autumn nights. That was before the weather suddenly shifted and dumped the first snow on the ground. I’m so glad that I brought my extender clothing. These key items transformed my regular clothing into a winter wardrobe! That was a surprise! The forecast was for a warm autumn day, not a snow storm. I’m glad I was prepared for it. Have you ever been surprised by bad weather during travel? A few key pieces of clothing can save your trip. All of these items are compact, light weight, and pack easily. They’re great for shoulder season travel when you just can’t rely on the weather forecast. There’s no need to pack special cold-weather items. These extender pieces will transform any outfit into winter-ready wear! This technique will also work if you are traveling to multiple destinations. Wear your regular clothing at the warm destination and add the extender pieces at the cold destination. 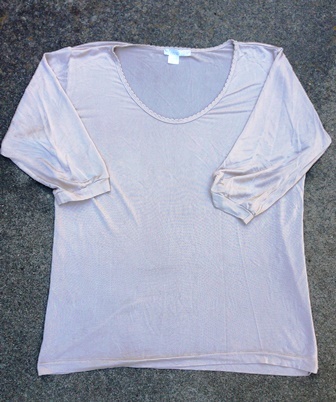 I always travel with my 3/4 sleeve scoop neck silk shirt, even in the summer. 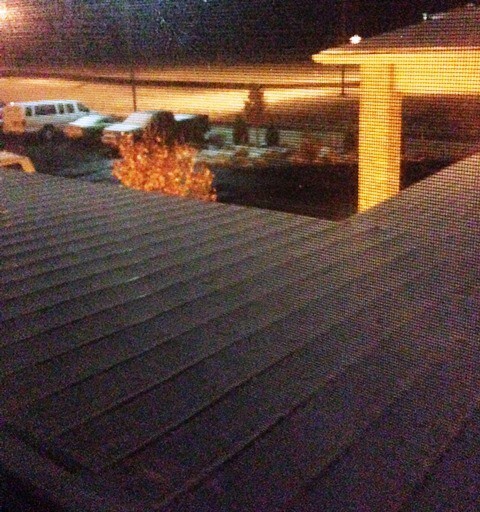 You never know if the temperature will drop or if your hotel room is too cold. The filament weight silk is perfect for wearing under street clothing, and adds around 15 degrees F (10 C) of warmth. I’ve found that the shirt is great for sleeping in too. I always take a comfortable pair of leggings on my travels. I wear them under my pants if I will be outside for long periods of time. They’re great for sleeping, exercising, or lounging. 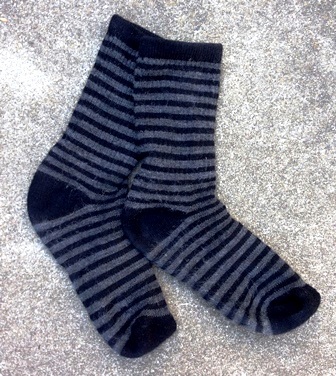 These merino socks are soft and rugged. They wick moisture to keep your feet cool in warm weather but warm in cool weather. Merino wool doesn’t hold odors. I wash the socks in the sink and then roll them up into a towel to get rid of excess water. The moisture wicking property means that they are almost always dry by morning. These socks are from Costco. 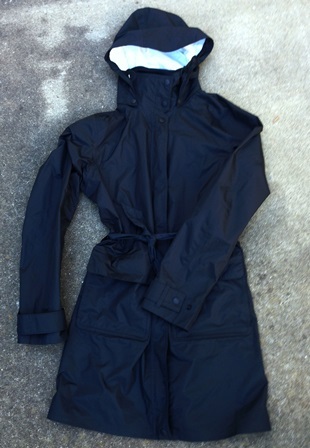 You’ll never ever see me traveling without my packable water proof rain trench! Wear this coat alone over street clothes when the weather is merely cool, or add in a few layers when the temperature drops. The water proof / wind proof protection from the elements means that you can handle transitional weather and a range of temperatures. The hood detaches and stores in a pocket when the weather is nicer. 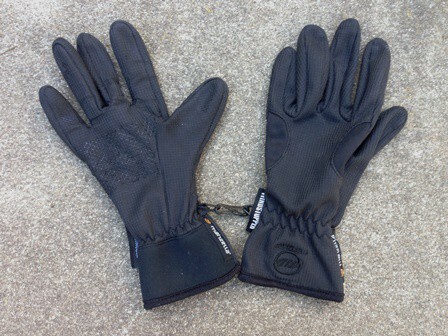 These silk weight travel gloves are actually bicycle gloves from Manzella! The palms and finger tips are imprinted with a plastic grid pattern for gripping surfaces. The Windstopper technology means that they are wind and rain resistant. The clip keeps one glove from wandering off from the other. These gloves easily stuff into pockets and small spaces so you’re sure to take them along on your trips. The newer gloves are compatible with touch screens. 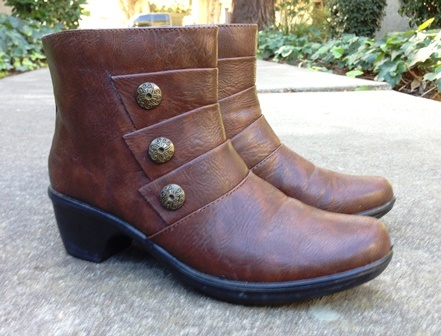 Water resistant ankle boots are a great choice for shoulder season travel. While knee high boots are the best choice for deep snow, ankle boots give extra ventilation for warm and cool days when the weather is unstable. The non-slip rubber soles keep you from sliding across the floor when it rains or snows. There’s plenty of room for a warm pair of merino socks. This silk camisole is great for layering under sleeveless shirts, especially when your activities vary from sitting to running around. The silk material breathes so you won’t get soaked in your sweat. 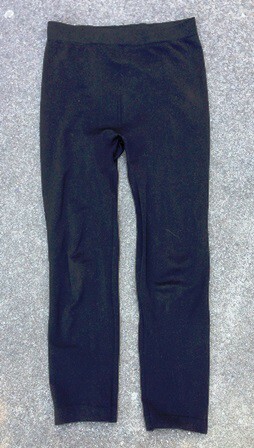 The extenders were part of my travel capsule wardrobe shown below. I wore the black shell at night with the silk long underwear top and leggings. I added in the tan cardigan when I was lounging in the hotel room. All of the clothing extenders are compact and light weight which means you can easily take them on any trip. Don’t let bad weather keep you from enjoying your trip. Pack these items and you’ll never worry about the weather. Thanks. I’m not sure what term is appropriate. I’ve used “temperature extender” in the past, but it is so wordy. The key concept is that all of these pieces transform summer weight clothing into 4 season clothing. That ‘s great backup for any trip but essential for round the world travel. 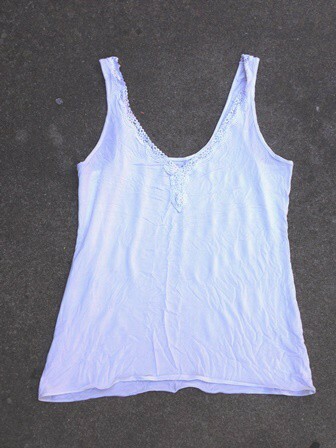 Where did you find that silk camisole? All great pieces, but I live in the middle of nowhere in Oregon and have to order everything online. Online is the only way to get a lot of the specialty travel items. Try Wintersilks, Cuddl Duds, etc. It’s a Patagonia Torrentshell Trench. It is last seasons model, now being discontinued. I snagged it for 1/2 price at an REI end of season sale. Try looking around for sales. I managed to get mine for $90 US. The replacement model does NOT have a belt, so be careful when you are looking around. I love the boots — it’s hard to find stylish and sturdy/waterproof ones. Will you share the brand? They are “Arlene” by Easy Street. The color is tan. I bought mine at shoes.com because most of the sellers only carried dark brown and black. These particular boots are only water resistant and made of man-made materials. Due to the nature of my trip I knew that it wouldn’t be needing waterproof boots. My knee high boots are absolutely waterproof!